Suzaku Lace: Fish & Co. Adventure - Eat your heart out! Fish & Co. Adventure - Eat your heart out! 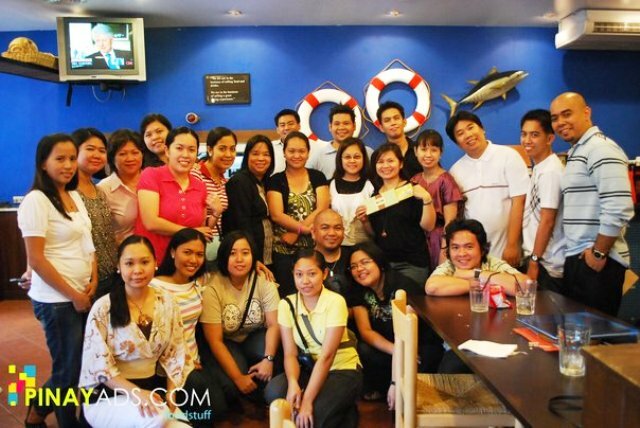 Yesterday, bloggers had fun at Fish & Co. Shangri-la Mall branch. Still we have the Island Cove Adventure hangover, and once more - our friends from Yehey! surprised us with another challenge. We were divided into 4 groups: Philadelphia, Japan, Malaysia, and India (my group). 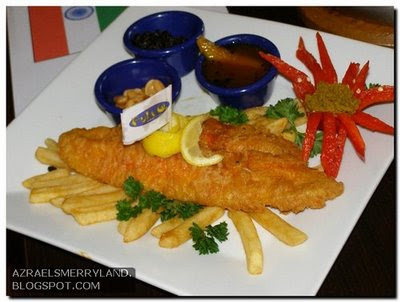 Our task is to design and create a decent presentation of our Fish and Chips depending on our assigned country. Everyone were handed a sash to wear like Miss Universe! Then came the surprise, everyone has to run to the grocery and grab the ingredients in no more than 30 minutes. Off everyone ran with their sash, mindless of the people staring at us inside the mall. whew! We picked up mango chutney, bell peppers, fresh parsley, curry paste, lemons, and onions. Ohmski was great with plating and knew how to turn a lemon into a flower, and a red bell pepper into a curry paste holder. Our plate is called Vishnu Fish Delight :) We said the red bell pepper is the offering to the god Vishnu to provide many more fishes. We didn't win (awww) but everyone enjoyed the International Fish & Chips platter. Fish and Chips reminds me of my trip to Australia where seafood was great and fresh. 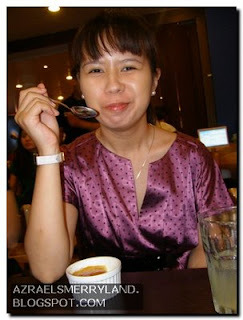 I also love their desserts - Tiramisu and Creme Brulee. Chris loves his Creme Brulee to the max!